I have spent my lovely moment knowing more about Freshel Skincare and also meeting the local talent celebrity, Yu Heng who was also the ambassador of Freshel. The agenda for this event is to introduce their Freshel range, mainly to meet Yu Heng for sharing some tips and tricks using Freshel products while also highlighting the new and star product. 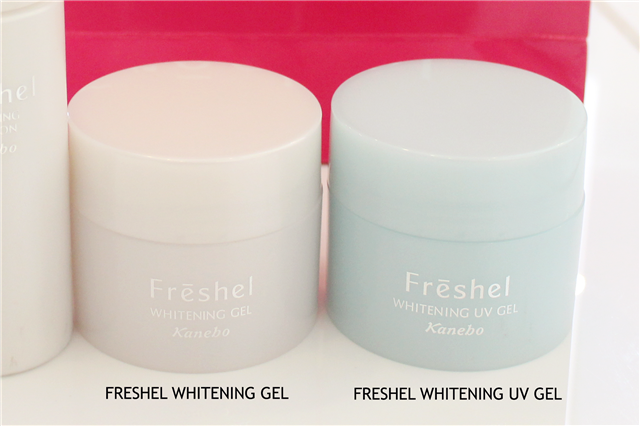 For your information, Freshel is one of skin care brand by Kanebo, Japan. Freshel is a skincare for busy people who want their skincare easy and simple to use while has high-end effect without paying much and spending less-time but still look fabulous! Freshel offers a wide variety of skincare to concerns many skin types. Recently, Freshel has add new items into their best multifunctional cream series (of all-in-one gels, BB Cream and CC Cream) to make the series more attractive to users who prefer quick and easy skincare. Freshel has developed a new product called Freshel Whitening UV Gel which are also a improved version from Freshel Whitening Gel. Freshel Whitening UV Gel is perfect as day moisturizer and the unique about this product is contains UV Protection at the same time. The new technology of Freshel Whitening UV protection ALL IN ONE Gel (SPF 26 PA++) for morning use allows Perfect Gel helps to reduce UV ray impact with a succulent, fresh and light-weight texture like a lotion. This product can be served as a lotion, essence, emulsion, cream and UV protection makeup base. This product contains collagen, hyaluronic acid, penetrating vitamin C, fruit extract and macadamia oil derivative. 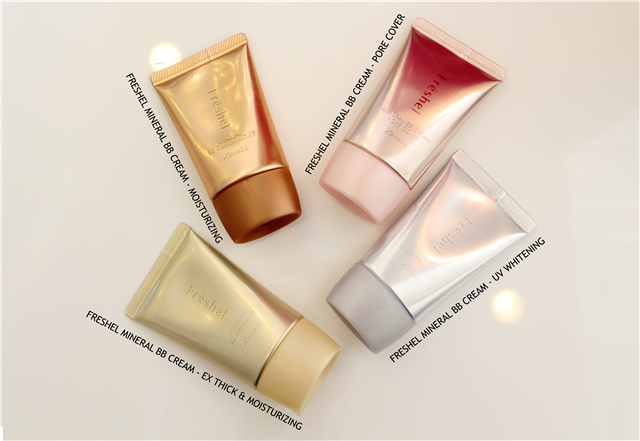 Freshel has launched two more products into their range which are Freshel Mineral BB Cream Pore Cover and Freshel CC Cream. Freshel Mineral BB Cream Pore Cover has comes into two shades, Beige and Medium Beige with SPF 28 PA++. This product contains collagen, hyaluronic acid and minerals that are gentle on the skin as well as providing a smooth, pore-covering powder for a sebum-absorbing effect. This BB Cream has a medium coverage and the moisturizing level is consider less if comparing with other types of Freshel BB Creams. The feeling of using this BB Cream is light weight, smooth and non-sticky. 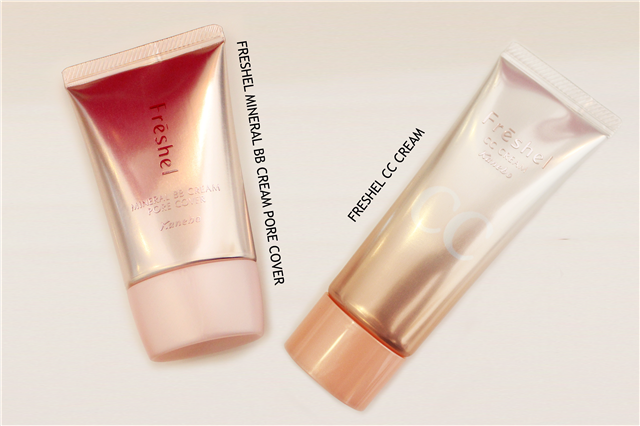 If you're looking a skin tone correction rather than lightweight makeup (BB Cream), Freshel CC Cream will be the one! Freshel CC Cream contains SPF 20 PA++ with double collagen and hyaluronic acid ingredients helps to corrects visible skin color tone by evening it out and reducing dullness while also helps to camouflaging dullness and skin colors without applying base makeup. . 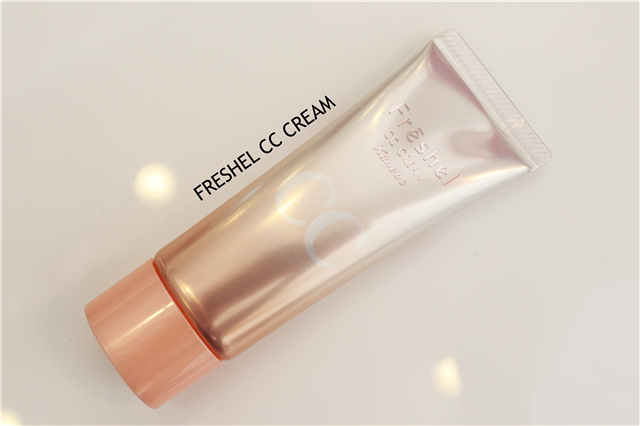 The consistency of this CC Cream is more watery, smoother and lighter feel compared to BB Cream. Appreciated the great and sharing session with the Freshel's Ambassador, Yu Heng. Yu Heng has shared her personal thoughts and feels of using Freshel products. 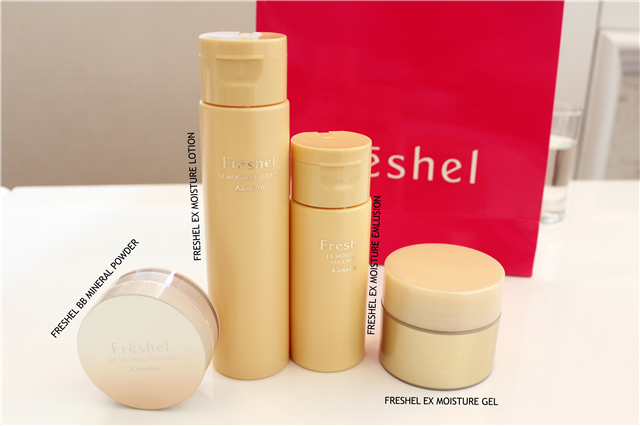 Her favorite items among all are Freshel Whitening Lotion, Freshel Whitening UV Gel and Freshel Lift Moisture Eye Essence. She told us that she using Freshel Whitening Lotion as a mask by pouring lotion into DIY mask sheet every morning as a deep moisturising for a better radiant and skin texture. 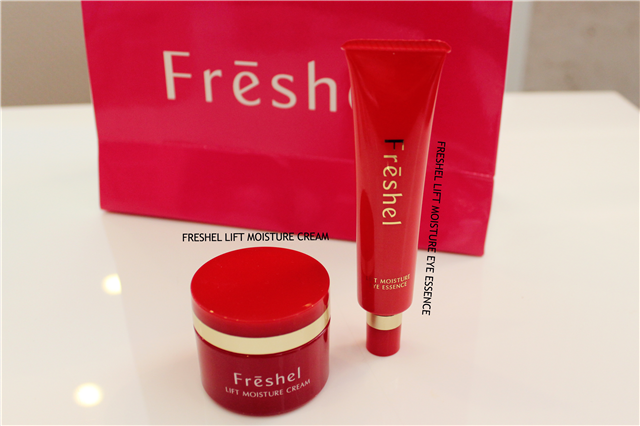 While she also sharing that using Freshel Lift Moisture Eye Essence really helps to moisturizing her eyes (especially underneath eyes are) and also fight fine lines. Happy happy girl can selfie with the celebrity, Yu Heng. She such so nice and friendly.